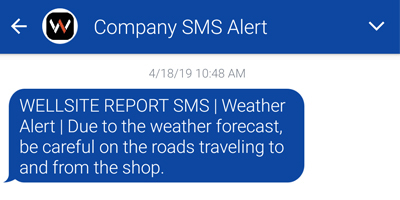 Last month, we discussed how powerful Email Alerts are in conjunction with our Equipment Module. Now we are going to dive deeper and show you how powerful Wellsite Report can be in keeping you up to date! 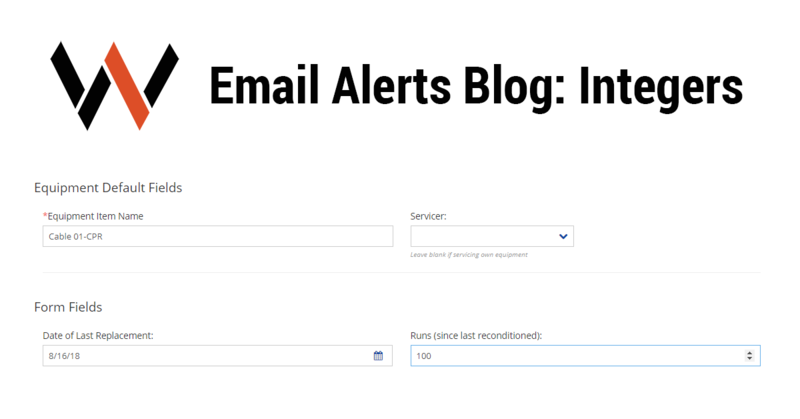 Email Alerts have so many configuration options that it may seem intimidating to get started. No need to worry! We can help demystify it for you. Field Type – Forms and equipment can have several different types of fields that take different types of input. For instance, Select List fields require you to select a choice from a dropdown menu, while Text fields allow you to type in a response. 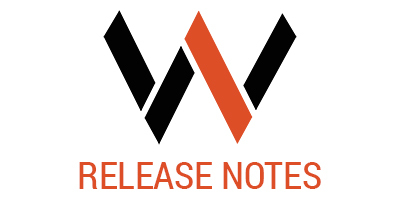 Field Value – An Email Alert is based on a specific field and its value. Whenever one of your users submits the form or updates the equipment that has that field, we take the value in that field and compare it to a condition. If the value in the field meets that condition, then we send the Email Alert. If it doesn’t, then we don’t send an email. In other words, your Email Alerts depend on the type of input and the value of that input. Let’s illustrate how this works with one of the more intuitive and flexible field types: Integers. An Integer field is a type of field where users can only enter non-decimal numbers. Has Value – If the field has a value – any value – then the condition has been met and the Email Alert goes out to your chosen users. Now that we have all the pieces, let’s put them together. Suppose we have a wireline cable that we use every day at the jobsite. We don’t want to use a cable that might cause issues when running down hole, so whenever our employees use the cable, they update the “Runs” field on the cable in Wellsite Report. We also decide we want to pull a cable out of service and recondition it every 100 runs. Here’s where the Email Alert comes in. We set the condition up on the “Runs” field. If the field value of “Runs” is greater than or equal to 100, then we send an Email Alert letting the appropriate users know that the cable needs to be reconditioned. But what if we don’t see the email and our employees keep using that same cable? 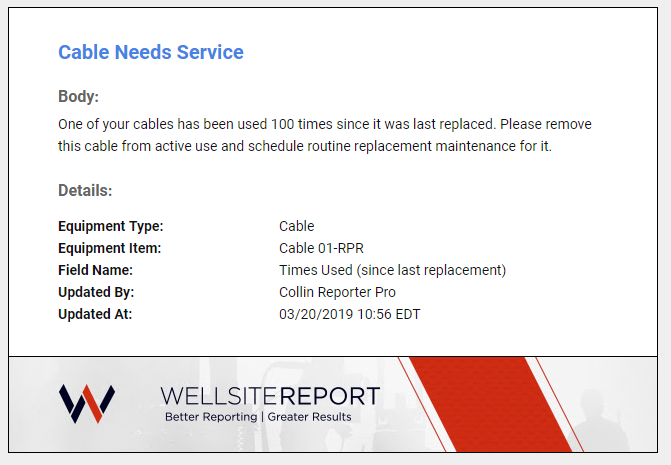 Every time they update the cable in Wellsite Report, the Email Alert will still go out if “Runs” is greater than or equal to 100. If you’re eager for more, stay tuned! We’ll be covering other field types as well as recurring Email Alerts.